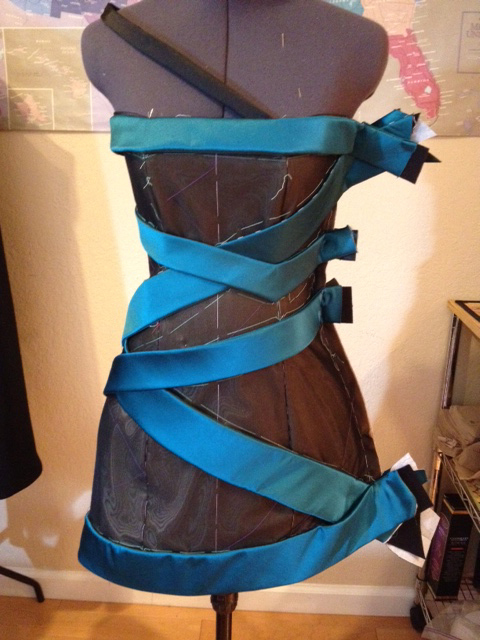 My “Yeaggy” dress with its first layer of teal drapings. At my fitting yesterday, these were adjusted and the next layer of thin black strips pinned on. Finally, will come the black Swarovski crystals. With all the strips and pins, I felt like a bird in a cage. But, with trust and imagination, you can tell this dress will be stunning! No Comments on "Annie Attire #6"